Two Maine residents were killed in separate car accidents over the Thanksgiving holiday weekend, reports the Portland Press Herald. The traffic fatalities send a stark reminder to buckle up and stay safe this month, which marks one of the year’s busiest travel times. Besides increased congestion on the roads and highways, Maine residents are also faced with snow and icy conditions, making it much easier to skid and lose control. Stephen McCausland, a spokesperson for the Maine Department of Public Safety, confirms at least 138 car accident fatalities on Maine roads this year. This death toll includes a 64-year-old Blaine resident and a 49-year-old woman from Hermon who were killed over the holiday weekend. The first crash happened in the Aroostook County hamlet of Blaine on the Saturday following Thanksgiving. Authorities report that 64-year-old Nathan Smith died of injuries he sustained when his vehicle crossed into incoming traffic on Robinson Road. Police say that Smith was driving a 1998 Toyota Corolla, which suddenly crossed into the westbound lane, before colliding with a Chevrolet Silverado driven by Spencer Garrison, age 19. Garrison survived the car crash, while Smith was pronounced dead at the scene. State police who were on the scene say that both vehicles sustained heavy damage, and surprisingly, neither man was wearing his seatbelt at the time of the collision. Officials are still looking for reasons why Smith would have crossed into the wrong lane and say the accident is still under investigation. The second crash claimed the life of 49-year old Sandra Gifford, who apparently lost control of her car in Penobscot County while traveling on Interstate 95. The accident occurred just south of Medway. The Hermon woman was traveling with her husband, age 55, when her Subaru Legacy veered into the median and then rolled numerous times. Police say that Gifford died instantly in the crash, while her spouse Kevin suffered non-life-threatening injuries. Investigations are still underway to determine why Gifford lost control of her sedan. Authorities have not yet confirmed if inclement weather, distracted driving or alcohol are possible suspects in either crash. 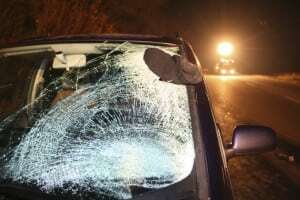 According to data from the National Highway Traffic Safety Administration, Thanksgiving, Labor Day and the 4th of July are some of the most dangerous times to be on the road. An average of 550 Americans is killed in motor vehicle accidents on a holiday each year, reports the NHTSA. Alcohol impairment and driver fatigue are two of the main culprits behind the bulk of holiday traffic accidents. Experts agree that many automobile-related deaths can be prevented this holiday season by traveling smart, taking short and frequent breaks, putting away cell phones and other handheld gadgets and wearing a seatbelt. Since 1976, the law firm of Hardy, Wolf & Downing has been advocating on behalf of personal injury victims throughout Lewistown, Bangor, Portland and Auburn. To learn more about your rights to compensation following a serious or fatal car crash, please contact a Maine accident attorney at our practice for a free case review today.